Today’s guest is editor, reviewer, and translator Rachel Cordasco! She runs the wonderful site Speculative Fiction in Translation, which is dedicated to providing information on speculative fiction works that have been (or are being) translated into English—from reviews, to interviews, to The Big SFT Spreadsheet, to compilations by year and indexes by language, and more! I’m thrilled she’s here today to discuss speculative fiction in translation by women, and if you want to read more with this particular focus, you can also check out the special issue of Anomaly she curated in 2017, Anomaly #25: Speculative Fiction in Translation by Women. With the marked increase in speculative fiction translated into English (SFT) over the past ten years, we’ve also seen a rise in the amount of SFT by non-Anglophone women, whose translators also tend to be women. These numbers tell us not only that women are being published around the world in ever greater numbers, but that their novels, collections, and short stories are attracting attention in the Anglophone world, in which translations themselves still account for just a fraction of books published each year. Focusing on 2018–19 shows us that this trend is continuing, especially in the realm of the short story collection. In this period, Anglophone readers have gotten/will get the chance to read ten collections of mostly dark fantasy by women, with seven of the collections translated by women. And while they come to us from around the world (including Russia, Indonesia, Japan, Bosnia, Slovakia, and Korea), almost half come from either Argentina or Spain. When many of us think about Latin American speculative fiction by women, we think about the highly-acclaimed Angelica Gorodischer, whose stories and novels have been well-known for decades for their dark comedy and unique approach to the fantastic. In the second decade of this century, we have even more such writers, including Sara Gallardo (Land of Smoke, tr. Jessica Sequeira) and Samanta Schweblin (Mouthful of Birds, tr. Megan McDowell) from Argentina; and Cristina Jurado (Alphaland, tr. James Womack) and Sofia Rhei (Everything is Made of Letters, tr. various translators) from Spain. 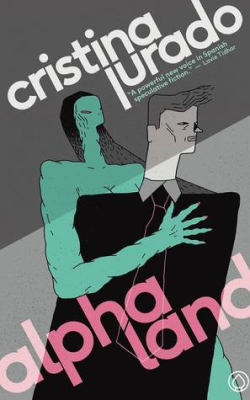 Schweblin, Jurado, and Rhei have all appeared in previous years, publishing novels or stories in English translation, while Gallardo, who died over thirty years ago, is just getting her English debut. And while Gallardo’s Land of Smoke is a kind of magical realism that prompted one critic to call it a “poetic communiqué from an exceptional imagination,” Schweblin’s Mouthful of Birds and Jurado’s Alphaland reach more toward the dark and surreal side of life, blurring the real and the bizarre into ultimately haunting collections. Rhei’s collection is the most sci-fi of the group, with stories about parallel worlds and alien planets that instantly transport the reader. Surrealism and dark fantasy are also at the center of collections by Tatyana Tolstaya (Aetherial Worlds, tr. Anya Migdal), Intan Paramaditha (Apple and Knife, tr. Stephen J. Epstein), Yukiko Motoya (The Lonesome Bodybuilder, tr. Asa Yoneda), Asja Bakić (Mars, tr. Jennifer Zoble), Uršuľa Kovalyk (The Night Circus, tr. Julia Sherwood and Peter Sherwood), and Ha Seong-Nan (Flowers of Mold, tr. Janet Hong). Collections like these offer readers an unflinching and unrelentingly dark look at modern life and what lies just beneath the surface. Of the ten works of novel-length SFT by women out or coming out between 2018 and 2019, three are from Japan, which itself has a long tradition of sophisticated, excellent speculative fiction (especially science fiction). Yoko Tawada’s The Emissary (tr. 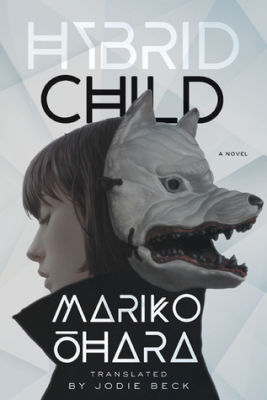 Margaret Mitsutani) depicts a post-apocalyptic Japan, in which the old remain healthy while the young wither away; Mariko Ohara’s Hybrid Child (tr. Jodie Beck) is an award-winning story about motherhood, murder, and cyborgs; and Yoko Ogawa’s The Memory Police (tr. Stephen Snyder) takes up questions of memory and trauma on an island where forgetting is the norm. 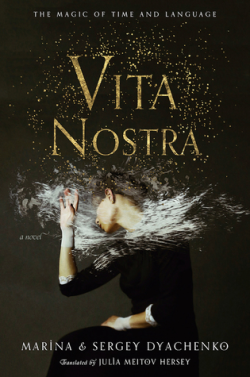 Novels by women from Korea, Finland, Catalonia, Argentina, Russia, the Dominican Republic, and Israel span the range of speculative fiction, from the psychologically-harrowing dark fantasy of Vita Nostra (by Marina and Sergei Dyachenko, tr. 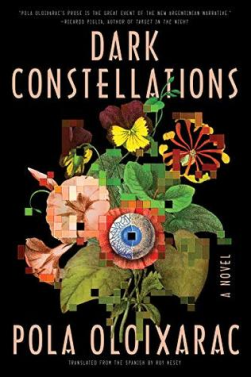 Julia Meitov Hersey) to the biohorror/science fiction of Dark Constellations (by Pola Oloixarac, tr. Roy Kesey) and everything in between. For instance, The Vestigial Heart (by Carme Torras, tr. Josephine Swarbrick) imagines a teenage girl waking up in a future filled with emotionless, robot-dependent humans, while The Heart of the Circle (by Keren Landsman, tr. Daniella Zamir) offers us an alternate-world fantasy about sorcerers and their fight for the right to exist. All of this, dear reader, is still not all, but if I went into all of the short-story-length SFT by women that came out in 2018-19, this post would be miles long. Instead, I’ll just mention a few of the especially notable ones. Man Booker International Prize-winning Polish author Olga Tokarczuk had her chilling story about genetic experimentation published recently in Hazlitt (“All Saints’ Mountain, tr. Jennifer Croft), while Italian author Clelia Farris saw her blend of science fiction and fantasy about a strange addictive substance published in Future Science Fiction Digest (“The Substance of Ideas,” tr. Rachel Cordasco). French author Melanie Fazi’s fantastical story about disease and statues came out in World Literature Today (“Our Lady of the Scales,” tr. Edward Gauvin), and Latin American Literature Today printed a story about trauma and holographic images as witnesses by Gabriela Damián Miravete (“They Will Dream in the Garden,” tr. Adrian Demopulos). Finally, Algerian author Safia Ketou’s story “The Mauve Planet” was published in English for the first time on Arablit.org (tr. Nadia Ghanem). 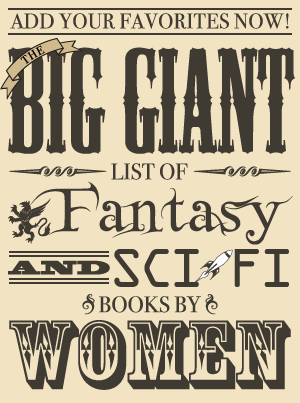 The women who write, translate, and publish speculative fiction around the world enrich our literary lives and enhance our understanding of the world(s) around/beneath/within us. So if you haven’t read any of these women before, or are looking for more from authors you already love, bring this list to your favorite bookstore or read some of the stories online. You’ll be glad you did. Rachel Cordasco has a PhD in literary studies and currently works as a developmental editor. She also writes reviews for publications like World Literature Today and Strange Horizons and translates Italian speculative fiction. For all things related to speculative fiction in translation, check out her website: sfintranslation.com.